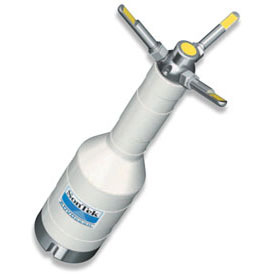 Whether you are looking to collect flow data in rivers, streams or canals, or you need current profiles in deeper ocean environments, SonTek has an array of instrumentation that can be used in any body of water, at various depths. Geotech is a SonTek representative in Colorado, New Mexico, Utah, and Wyoming. The new FlowTracker®2 (FT2) handheld Acoustic Doppler Velocimeter (ADV®) has all the technology you have grown to know and trust with the original FlowTracker, but now comes with functional, modernized features (Bluetooth, GPS and large color screen, to name only a few) based on the evaluation and feedback from hydrologists, researchers and scientists who have made the FlowTracker their instrument of choice. 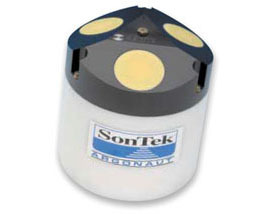 The SonTek-IQ™ starts with a custom flow algorithm derived from hundreds of field measurements. The four velocity beams profile water velocity both vertically and horizontally ensuring complete coverage of the velocity field. 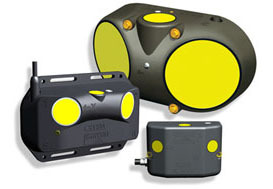 The built-in pressure sensor and vertical acoustic beam work in tandem to measure the water level. Simply input the channel geometry using the intuitive SonTek-IQ software and you are outputting flow data in minutes. 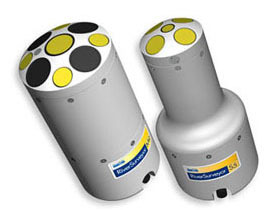 The RiverSurveyor®, S5/M9 systems give a new perspective to the notion of measuring open channel hydraulics. 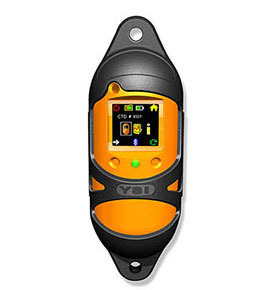 Using SonTek's exclusive SmartPulseHD™, multiple acoustic frequencies are fused with precise bandwidth control for the most robust and continuous shallow-to-deep discharge measurements ever. A deterministic microcontroller expertly apportions the proper acoustics, pulse scheme, and cell size to get the highest definition possible so you can focus on the measurement, not the instrument setup. The system even has a vertical beam for precise channel definition and it's all designed to work intuitively. The CastAway-CTD is a lightweight, easy to use instrument designed for quick and accurate conductivity, temperature, and depth profiles. Starting with a unique six-electrode conductivity cell and fast response thermistor the CastAway makes use of modern technology to provide state of the art CTD measurements. The Argonaut-SL is a side-looking Doppler current meter that precisely measures 2-D water velocity in a horizontal layer. Because it is easily installed on a riverbank, bridge abutment, or other vertical structure, it is the perfect choice for long-term current monitoring. Options for water level measurement, water quality, telemetry, and flow calculation extend the capability of the Argonaut SL to a wide variety of applications. Providing robust, laboratory-precision flow measurements in a compact and easy-to use package, the Argonaut-ADV is the ultimate solution to shallow water flow monitoring. Ideal for low-flow applications, it is equally versatile in higher velocity environments and when precise water velocity is needed close to a boundary. Designed specifically for mounting on the bottom and looking up, the low-profile Argonaut-XR is an advanced Doppler sonar for 3-D water velocity measurement. Because the Argonaut-XR vertically integrates water velocity from the bottom all the way to the surface, it is an ideal tool for sites where bi-directional flows are present. Optional CTDs and multiprobes can make it a complete environmental monitoring solution. The Sontek ADV is a standard for accurate, high-precision water velocity measurements under a wide variety of flow conditions. 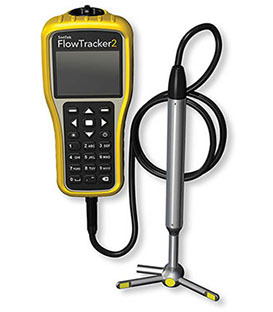 FlowTracker2 Lab Acoustic Doppler Velocimeter (ADV) utilizes SonTek's continuing innovation in ADV technology to offer a laboratory version of the best-selling ADV, the FlowTracker2. 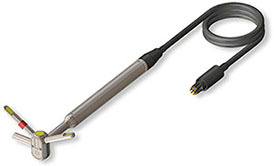 For the first time, the ADV's acoustic probe and processing electronics are housed in one small, lightweight, easily-maneuverable unit, and the acoustic head has an option integrated depth sensor. 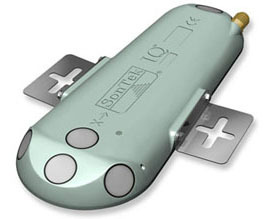 Not sure which SonTek/YSI instrument is best for your application? for help in matching your interests.